Based in Saffron Walden, near Cambridge in the UK, Evolution's parent company is Diamond Engineering Limited. The Evolution range of vaccination products is manufactured, assembled and quality-checked prior to dispatch in engineering facilities equipped with the latest plant and Instrumentation. 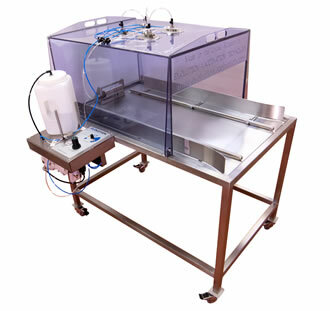 Our expertise in the design and supply of animal health products dates back to 1983, when Diamond Engineering acquired the original manufacturer of the first model of what is now the highly-successful Evolution Automatic Subcutaneous Chick Vaccinator. This first-generation system was re-engineered to improve performance in the field and the Evolution range of poultry vaccinators was born. 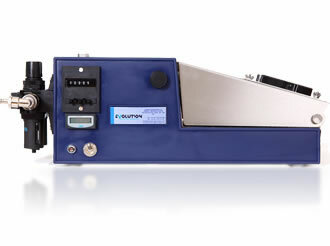 Our Evolution product capability now extends to vaccinators for fish, and livestock including cattle, pigs and sheep. We design every vaccination product we supply to maximize reliability, productivity and operational efficiency in the field. Overall cost of ownership is kept low through engineering enhancements that minimize vaccine wastage, servicing and maintenance. We are committed to maintaining the highest ethics and standards in every aspect of business practice, and understand that every customer – however far away – has unique needs. That's why our comprehensive support and responsive personalized service extends to the supply of tailored solutions for animal health. The class-leading Evolution product range is backed by the precision manufacturing resources and expertise of Diamond Engineering Limited. Multinational companies around the globe trust Diamond Engineering to supply them with essential parts, precision-machined to exacting tolerances and quality standards. ISO 9001/2008 UKAS accredited quality goes hand-in-hand with our commitment to always deliver on time, to agreed specifications and quantities. 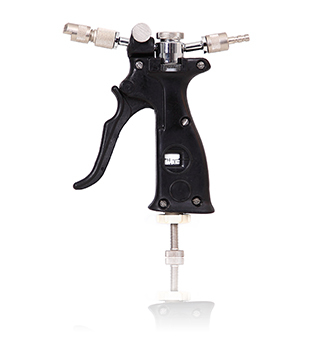 Evolution manufactures a range of vaccination methods to suit conditions and vaccine including; spray, automatic subcutaneous and a highly reliable hand held vaccinator. The Marivax fish vaccinator allows increased productivity for operators, increased efficiency from vaccine, and increased survivability, all in a user-friendly, low maintenance package. Vaccination solutions provided for a range of other livestock, including sheep, cow, pig and horse. No matter the situation, Evolution will have a solution to inoculate your animals effectively.